Cross-Server Arena: We’d like to give players from all servers a chance to communicate and learn party strategy from others, so we will release Cross-Server Arena where you can battle with the top 20 players from each server will receive fabulous rewards. The Cross Arena unlocks at Level 60 and will be held every other day. Enchanting system: A warriors’s equipment greatly influences their battle rating. Enchanting can greatly increase equipment base attributes, and the higher the enchanting level, the higher the bonus. After enchanting system is unlocked, the warrior character will have a new and brilliant look. Among the newly-added features,we will be holding events not in-game but also on Facebook. Be sure to check these events out so you can learn more about the new systems and meet some of your Chibi Warrior friends! 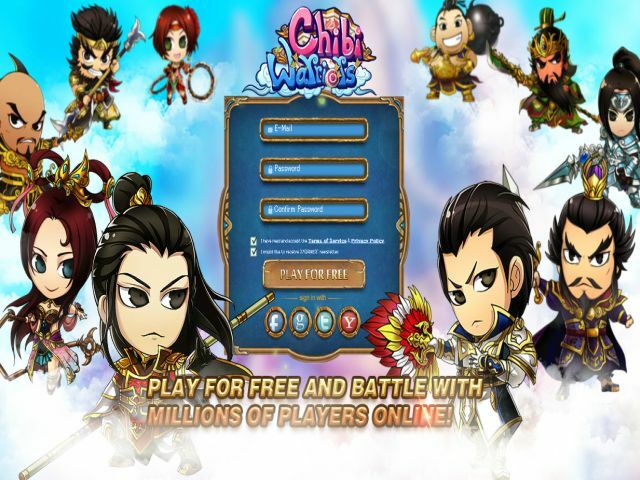 Chibi Warriors is a browser-based strategy games. Players customize and recruit warriors, customize their battle formations, and work their way up the ranks in the power struggle of Ancient China.